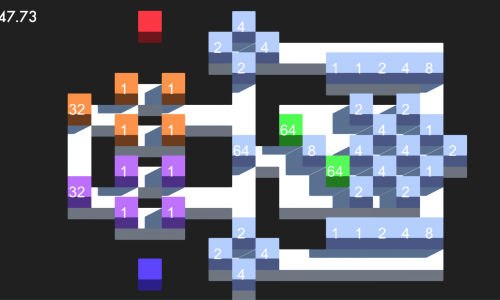 Combiner 42 is an exciting, quick puzzler, that can be played alone or with a friend in local competitive multiplayer. 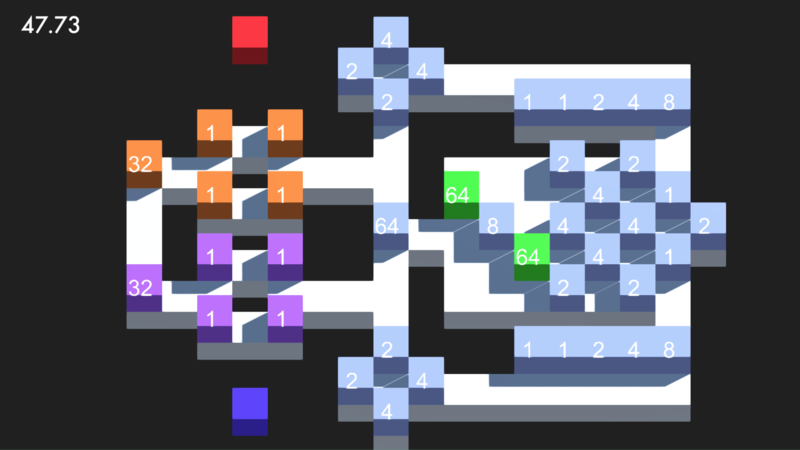 Players have to move their cubes quickly and efficiently before the ground collapses under them or the other player snatches valuable cubes from them. Although you will only start with one or a few cubes of low strength, simply moving a cube into one of your other cubes or a neutral one with the same strength will fuse them into one cube, twice as strong. But stronger cubes cannot fuse with weaker ones, they destroy them instead! So splitting your cubes into weaker ones and clever movement are necessary to beat the tight time limits or the other player… Do you have what it takes to become a combiner?